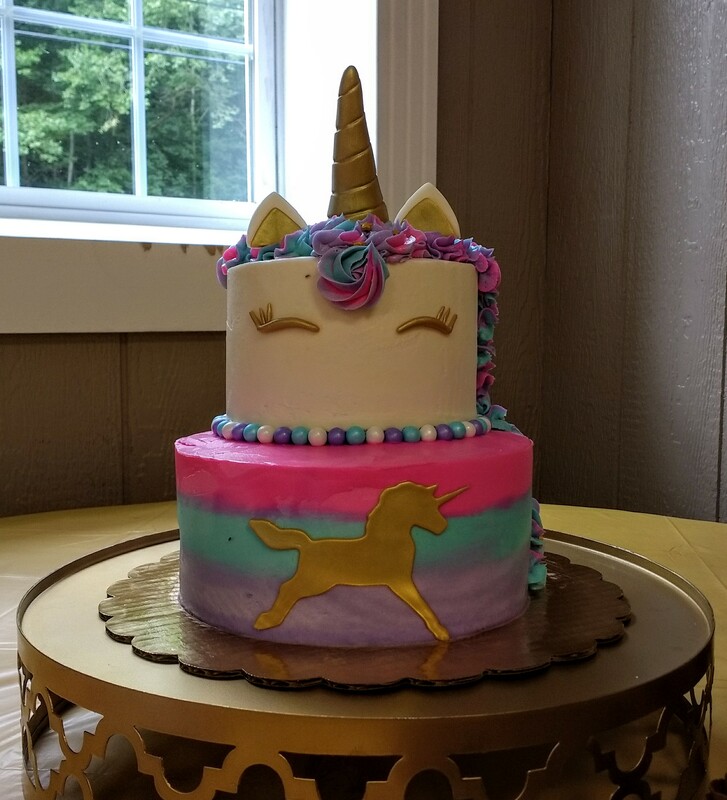 An 8″ pink/vanilla cake and a 6″ funfetti came over with vanilla buttercream. The horn, eyes, ears and unicorn are handmade from fondant. 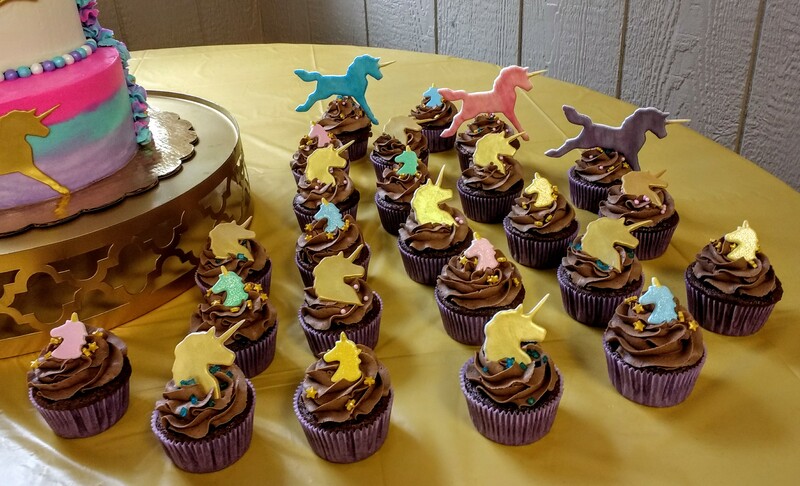 ​Chocolate cupcakes iced with chocolate buttercream, decorations are handmade from fondant. 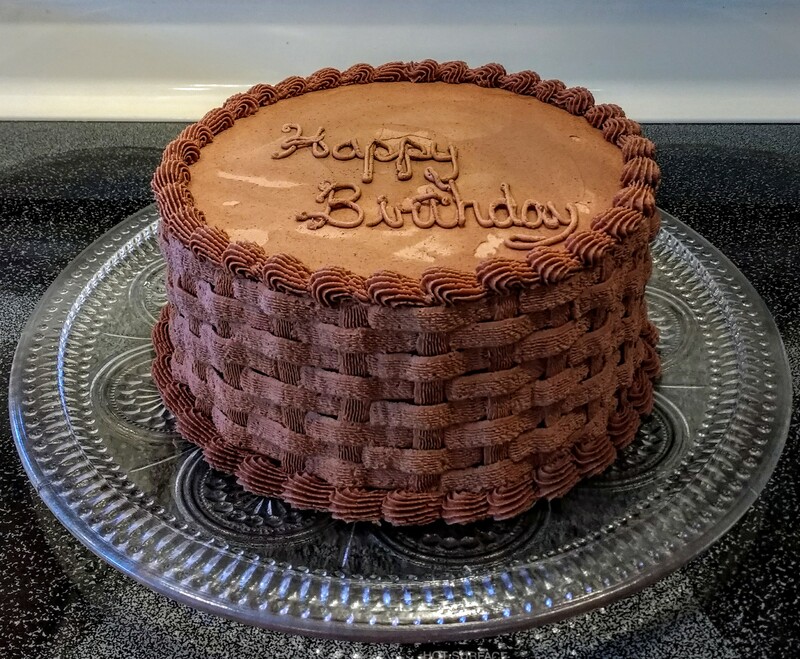 A 6″,8″, and 10″ vanilla cake iced with vanilla buttercream. 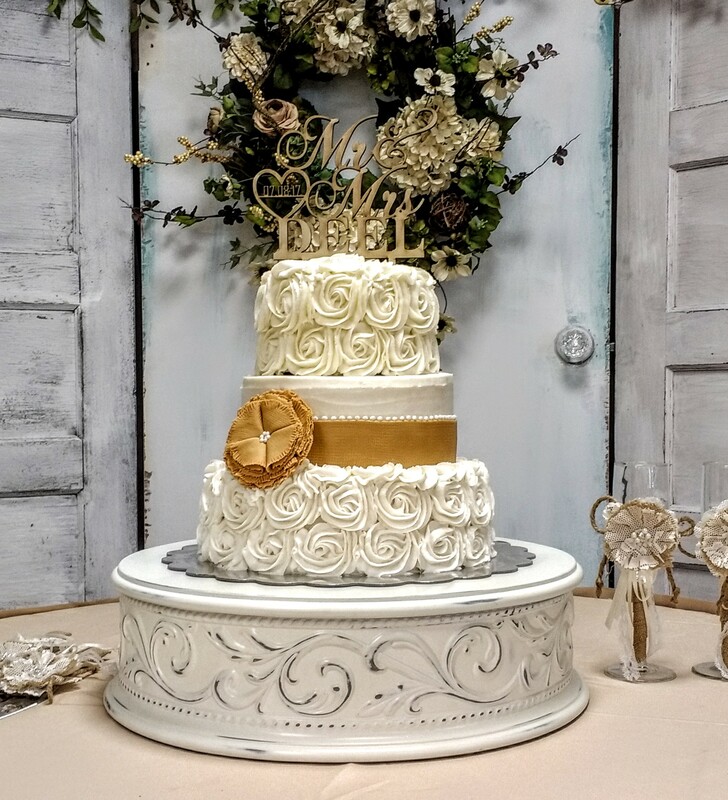 The flower and burlap ribbon are handmade from fondant. 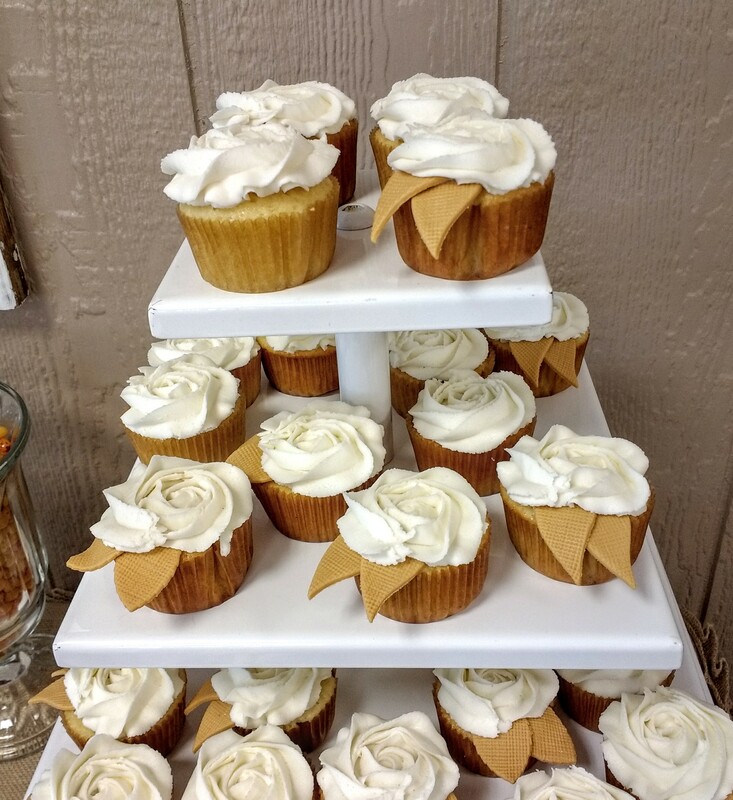 Cupcakes were made to match.